Murphy is our latest pattern release that is designed for relaxing weekend wear. 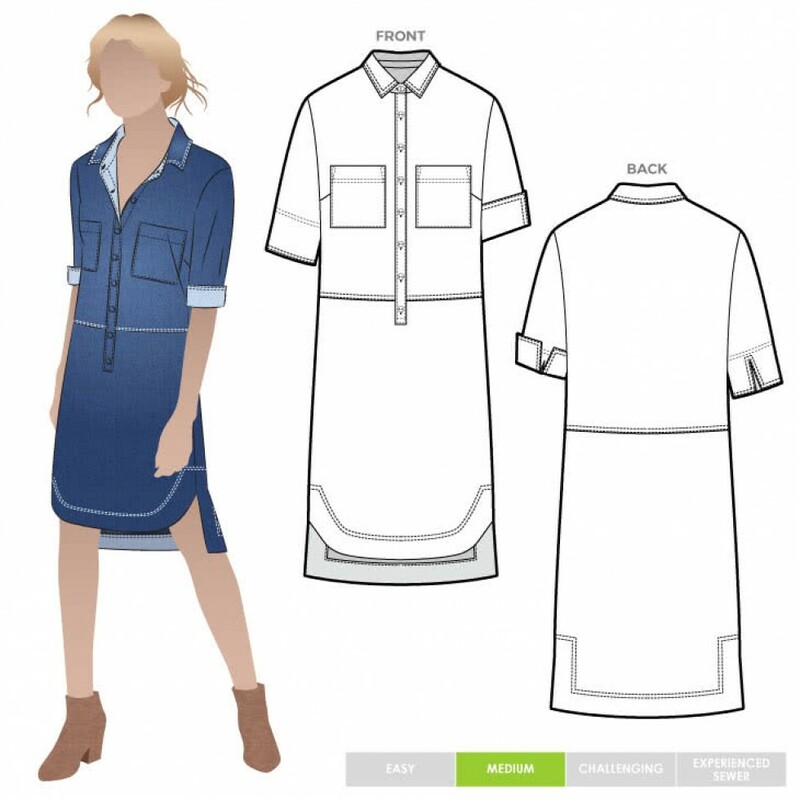 This classic shirt maker dress pattern features a neat shirt collar, three quarter front tab, front pockets and a cuffed sleeve. The hi low hemline is a gorgeous feature with a squared off back hem and a rounded front hem. These are multi sized nested patterns printed on 60gsm paper. There are two size ranges available for each pattern. Seam allowances are included. Please note, Style Arc sewing patterns come with limited instructions and assume some sewing and pattern knowledge.